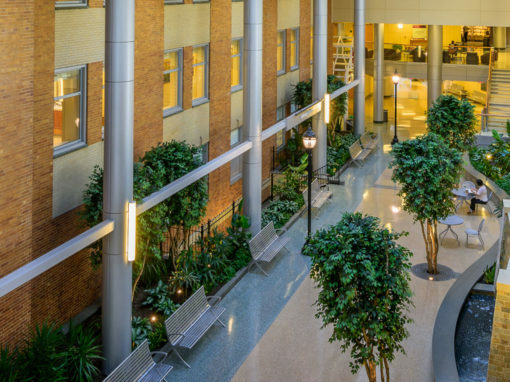 Christiana Care – Wilmington Hospital – Atrium | Robinson Anderson Summers Inc.
As part of the Christiana Care Health System’s Wilmington hospital campus expansion, RAS designed an interior garden as part of a new public atrium space. 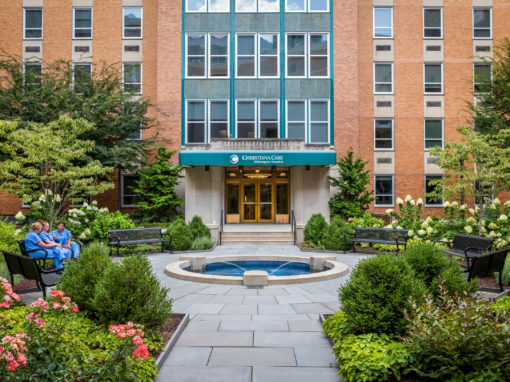 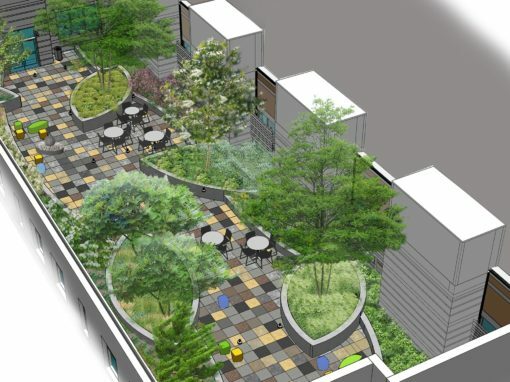 Since the atrium was built in the location of one of the hospital’s old access streets, the garden design included an allee of trees, old-fashioned wrought iron fencing and light fixtures, and paving patterns reminiscent of a Wilmington streetscape. 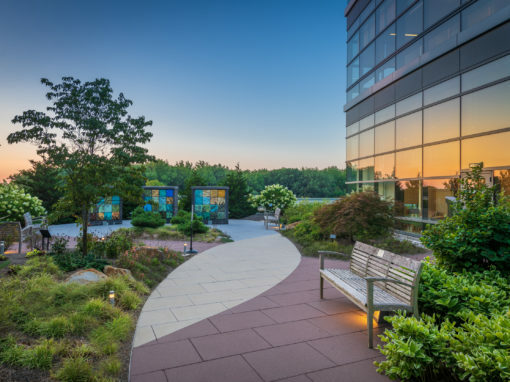 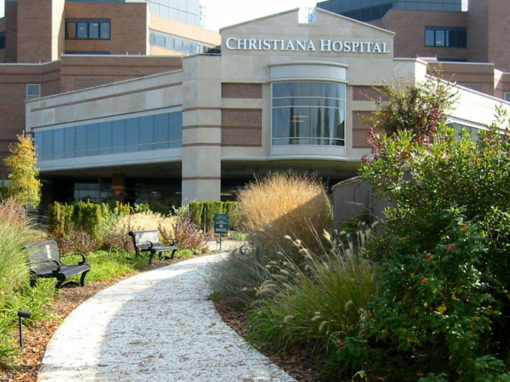 The rich, heavily planted garden provided a refuge for staff and patients near the Emergency Room, one of the most active areas in the hospital.